Capsicum is also known with different names like Bell Peppers, Chilli and comes in different colors including red, yellow and green. There are numerous healthy reasons to eat capsicum, as it has Vitamin C, is an excellent source of Vitamin A and beta-carotene and one of the best sources of other carotenoids. Capsicum is contained both in the fleshy membrane of both sweet and hot peppers and in higher concentration the seeds. This natural fruit may be used fresh or dried as a culinary spice, added to teas, or taken in capsules to reap its many medicinal benefits. Adding chilies to your daily diet may result show benefits in many ailments. Let’s see some of the amazing health benefits of capsicum here on this page. 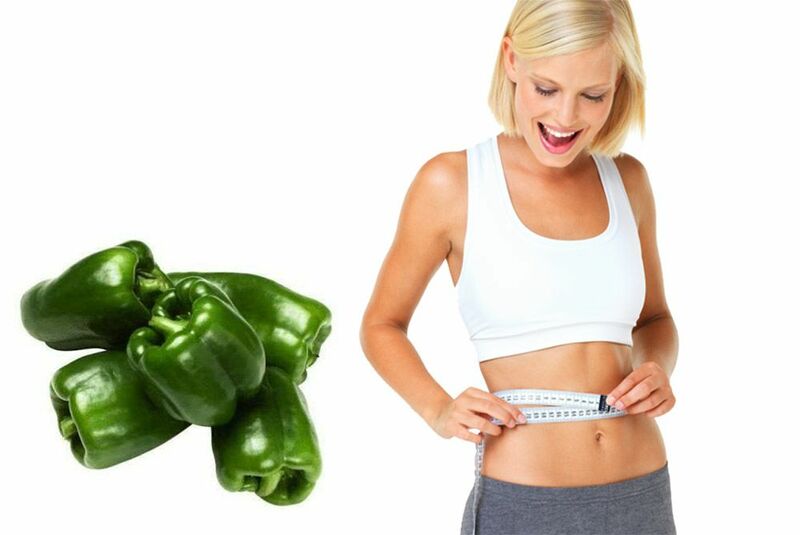 Capsaicin, a chemical present in capsicum increases the metabolic rate (fat-burning rate) in the body without spiking blood pressure and heart rate, thus helping with weight loss. They have a mild thermogenic action that increases the metabolism without increasing the heart rate and blood pressure unlike hot peppers. Hence, they can support weight loss. It contains very few calories only 23 calories per cup which aids to weight loss. Green peppers are loaded with vitamin C, a powerful nutrition for fat release. Studies show that people who have inadequate levels of C cling more tightly to fat, so chowing down on fruits and veggies rich in this vitamin can help coax your body into weight loss mode. Capsicum are rich in fiber and diet with enough fiber reduces the risk of heart disease and diabetes. Fiber might also help you lose weight or maintain a healthy weight because it keeps you full, which can help prevent you from eating too much. Capsicum also prevents indigestion by causing the secretion of digestive juices. 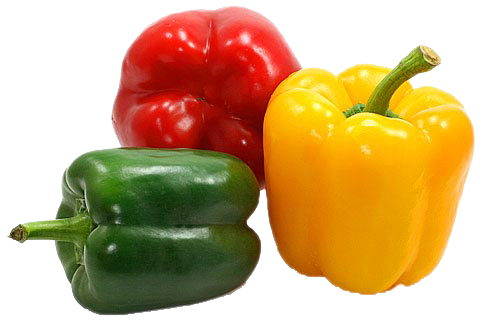 Red, yellow or green peppers contain three times more Vitamin C than orange juice, according to experts. The Vitamin C in capsicum helps with the absorption of iron, preventing iron deficiencies and anaemia. Capsicum are loaded with nutrients like vitamins A, C and K, carotenoids and dietary fiber which makes them immensely beneficial for the overall good health. Bell peppers also have vitamin B6 and folate that help to lower homocysteine levels, thus reducing the risk of heart disease. Free radicals are present in the body, and are responsible for causing cellular damage, damage to nerves and blood vessels. Capsicum is a rich source of Vitamin A and C, which are both powerful antioxidants. These antioxidants help in fighting free radicals in the body and help in treating heart diseases, osteoarthritis, bronchial asthma, cataract etc. The anti-cancer compound, lycopene, found in capsicum reduces unwanted oxidative stress in the body and thus prevents prostate cancer in men. The Vitamin C in capsicum encourages immunity and prevents cell damage. One chopped bell pepper contains 30-40 calories each, and is ideal for snacking on. Vitamins in the capsicum chili pepper are shown to have an antioxidant effect on cell tissue which may improve skin and aging.